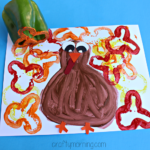 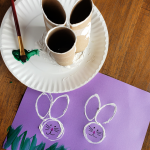 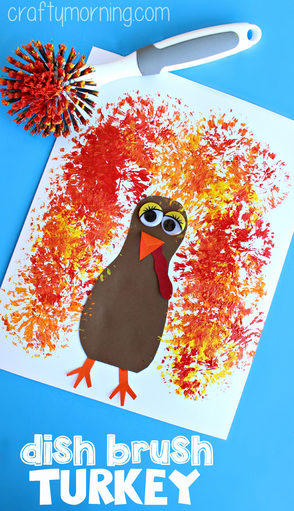 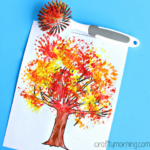 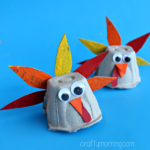 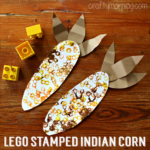 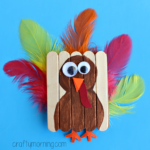 Thanksgiving is the perfect time to make an adorable turkey craft with your kids! 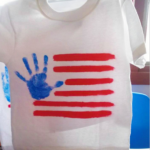 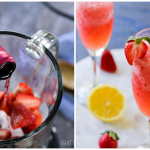 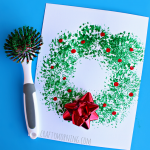 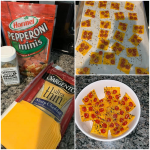 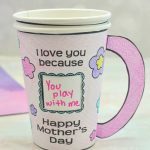 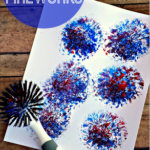 We used my favorite painting tool – an old kitchen dish brush and it turned out awesome. 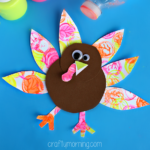 I realized after we did this that turning the paper horizontal would probably look better but the turkeys body would be smaller. 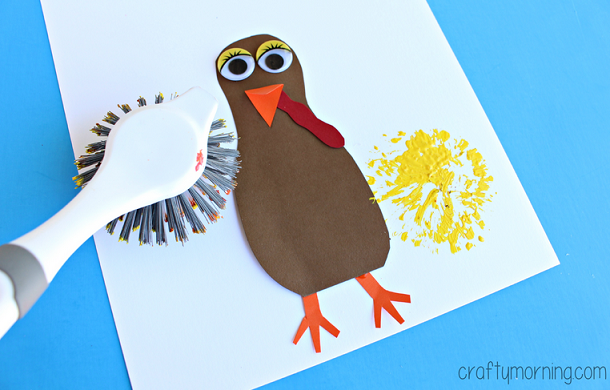 Gobble gobble! 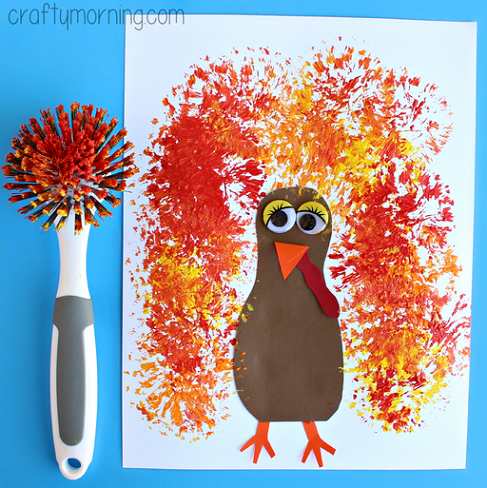 Let it dry and you’ve got yourself the best looking turkey on Thanksgiving Day!